Variable Kingsnake. A beautiful dove gray and red orange leonis phase, locality unknown. 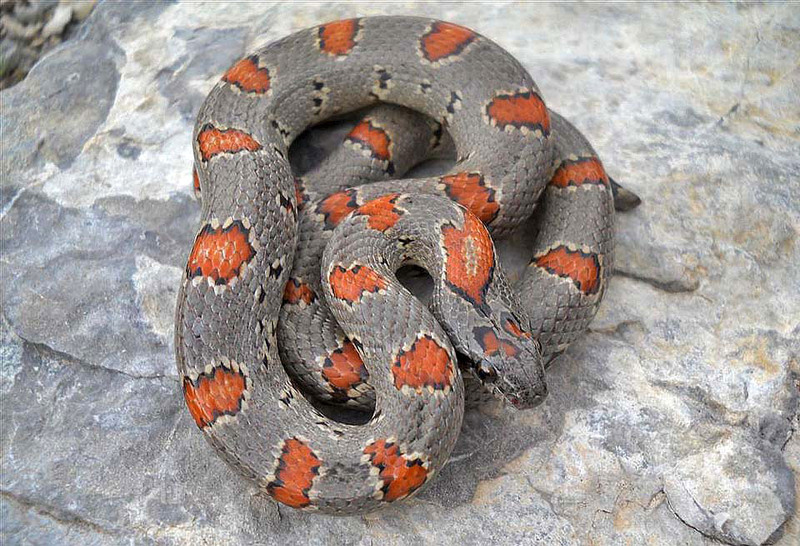 This specimen's head seems unusually long for a typical Variable Kingsnake. Photo by Karl Peterson.